The airline's communications response to Flight 3411 so far is tone deaf and is doing nothing to resolve the situation. (Image via United's media relations page). A passenger was forcibly ejected from a United flight on Sunday from Chicago to Louisville by Chicago Department of Aviation enforcement officers and the video of the incident has gone viral on social media, causing a massive backlash against the airline’s heavy-handed approach. A tone-deaf communications response, first in the form of a standard statement from United, then a tweet attributed to CEO Oscar Munoz, then an internal note to United staff from Munoz that also became public and went viral, have only served to exacerbate the furor. Munoz’s tweet was couched purely in terms of its effect on United, rather than the injured passenger: "This is an upsetting event to all of us here at United. I apologize for having to re-accommodate these customers. Our team is moving with a sense of urgency to work with the authorities and conduct our own detailed review of what happened." The term "re-accommodate" smacked of legalese aimed at avoiding future litigation, rather than responding to what was a horrific video of a disturbing incident. United’s response compares unfavorably with the Chicago Department of Aviation, which placed the officer involved on leave and released the following statement: "The incident on United Flight 3411 was not in accordance with our standard operating procedure and the actions of the aviation security officer are obviously not condoned. That officer has been placed on leave effective today pending a thorough review of the situation." Munoz’s note to staff doubled down on the unapologetic tone and was in stark contrast to the approach adopted by the Chicago aviation department. "This situation was unfortunately compounded when one of the passengers we politely asked to deplane refused and it became necessary to contact Chicago Aviation Security officers to help. Our employees followed established procedures for dealing with situations like this. While I deeply regret this situation arose, I also emphatically stand behind all of you, and I want to commend you for continuing to go above and beyond to ensure we fly right. "I do, however, believe there are lessons we can learn from this experience, and we are taking a close look at the circumstances surrounding this incident. Treating our customers and each other with respect and dignity is at the core of who we are, and we must always remember this no matter how challenging the situation." It’s one thing to stand with your people, but there are many things wrong with this statement, and the phrase "treating our customers and each other with respect and dignity is at the core of who we are" is the element that jars most to this observer. This crisis comes just two weeks after the #leggingsban incident, after which United’s MD of global communications, Megan McCarthy, acknowledged to PRWeek that the carrier should have taken a more thoughtful approach to responding to the dress-code controversy that saw two girls traveling as relatives or dependents of a United employee barred from boarding a flight because of their attire. A passenger complained, the incident was picked up by a number of celebrities, and the airline was eviscerated on social media. The incident has shed much light on our choice of the United CEO as Communicator of the Year at the PRWeek Awards last month. It’s fair to say that if PRWeek was choosing its Communicator of the Year now, we would not be awarding it to Oscar Munoz. United and Munoz’s response to the most recent incident is surprising and upsetting because it is so much at odds with their respective behavior previously, including the time span of the PRWeek Awards, which relate to work conducted in the period between October 3, 2015, and October 3, 2016. 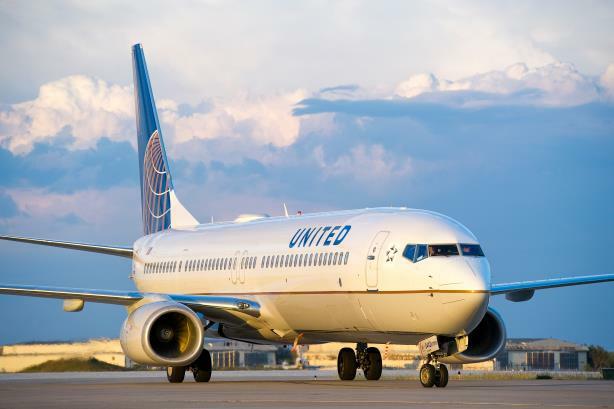 In that time, United Airlines experienced a complete turnaround in fortunes, led by a CEO, Oscar Munoz, who seemingly understood the value of PR and connected effectively with his employees—a group of people who had been demotivated for many years. Munoz took over with a daunting task ahead of him, as previous CEO Jeff Smisek had resigned amid a federal investigation into quid pro quo exchanges with public officials. Twelve months on, the company’s stock price had improved, the airline had its best full-year on-time performance in history, and it signed all its labor contracts ahead of schedule—an unprecedented occurrence. Munoz won praise from union bosses for his easy rapport with shop-floor workers and customer service at the airline improved. At the time the candidates for the award were assessed, Munoz’s credentials were impeccable. He seemed to demonstrate an understanding of the role of communications in a successful enterprise and was leading a turnaround under difficult circumstances. Several high-profile spots on broadcast and print media underlined those credentials. But the events since the award was handed out on March 16 and subsequent developments show that no company or brand can rest on its laurels when it comes to its reputation. Protecting and enhancing it is a 24/7, 365 days a year undertaking. Communication, especially in a service business such as an airline, starts with every member of staff that interacts with the public. You earn your reputational chops every day, from the CEO down. CEOs and companies have to engage their consumers from a customer-service standpoint. As United – and PRWeek – is finding out, social media is always-on and unforgiving. Reputational risk is a huge concern for modern enterprises and relates to the value of a brand or company just as much legal and liability risk—lawyers cannot be the first line of a communications defense. Let’s be clear, no one at PRWeek is condoning the incident on Flight 3411 and United’s communications response—it is unacceptable. In time, the episode and subsequent response will be quoted in textbooks as an example of how not to respond in a crisis. But, for now, our thoughts are principally with the victim in this case, who was clearly—and understandably—extremely shaken up by his forcible removal from the plane. Could data and humanity have saved United Airlines?